This past Sunday we celebrated a momentous occasion in the 52-year history of Kartemquin: following their nominations two of our films, Edith+Eddie and Abacus: Small Enough to Jail, traveled to the 90th Academy Awards® along with their respective filmmaking teams. Edith+Eddie directed, produced and edited by Laura Checkoway and produced by Thomas Lee Wright was nominee in the Best Documentary (Short Subject) category. Abacus, directed by Steve James and produced by Mark Mitten and Julie Goldman was a nominee in the Best Documentary Feature category. ABCnews followed Checkoway's journey as a first-time Oscar® nominee, in a piece that you can read here. The entire Sung family (featured in Abacus attended the ceremony, along with members of Edith Hill's family (featured in Edith+Eddie. 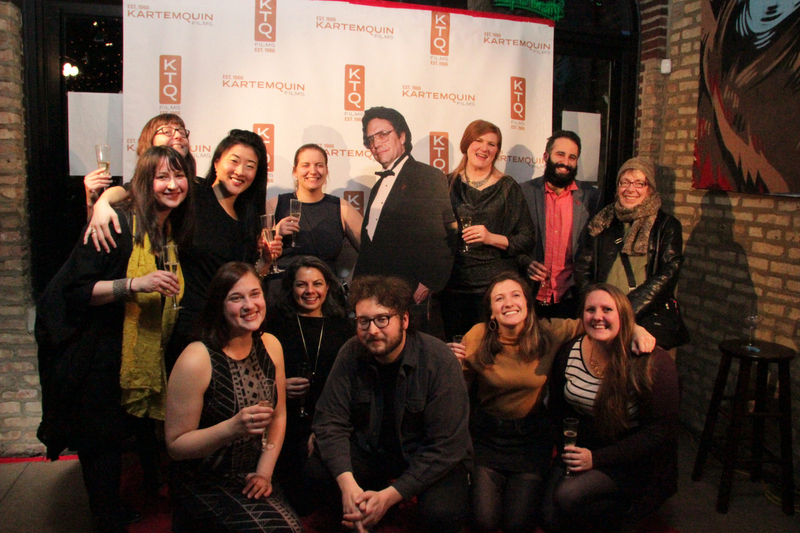 Additionally, the Kartemquin community came together on Sunday night to cheer on the nominated films and celebrate together at The Radler, including an Oscar ballot contest! For more information on each respective film, and how to view them, visit abacusmovie.com and editheddie.com.